Show your neighborhood pride by wearing locally designed t-shirts and track jackets! Shirts are available in mens, womens and kids sizes in a selection of colors. Tshirts are 100% cotton and made in the USA. Track jackets are unisex sizes. 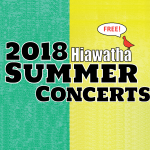 Admiral apparel is sold at all of our events including the Adopt-a-Street clean up and the Summer Concert Series at Hiawatha. You can also email info@admiralneighborhood.org with your order and we’ll work with you to get your selections to you! T-shirts are $15 for adults, $10 for kids and Track Jackets are $40. All proceeds benefit the Admiral Neighborhood Association and help make possible events like the Summer Concert Series. © 2019 Admiral Neighborhood Association. All Rights Reserved.